Honeywell Aerospace has signed a licensing agreement with Tata Power’s Strategic Engineering Division (SED), enabling it to produce Honeywell’s Tactical Advanced Land Inertial Navigator, or “TALIN” in India. This Honeywell-patented technology enables vehicles and artillery to navigate very precisely, even where GPS satellite guidance is not available, to increase troop safety and maximise mission success. Aligning with the Indian Government’s objective of organically growing its defence industry and the call for “Make in India”, Honeywell will license the design, hardware and expertise to assemble, test and, in the future, build the production kits for TALIN to Tata Power SED. 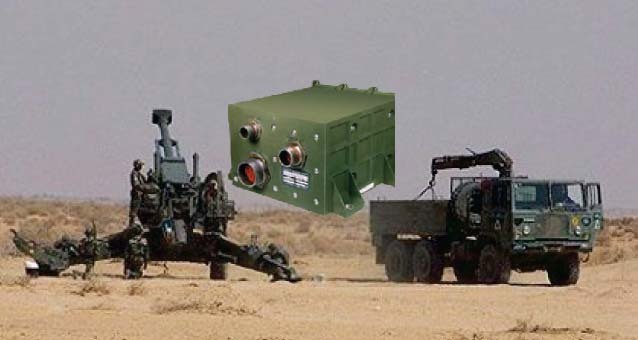 It will mark the first time India has produced Inertial Land Navigation technology, providing the Indian Armed Forces with a locally constructed advanced land navigation technology that is not limited by a reliance upon GPS, an important benefit for vehicles and artillery operating across the country’s mountain, desert and forest terrain, where satellite signals can be limited. The initial efforts will begin in 2015 for the TALIN 2000 with production and manufacturing of the system components expected by 2016. At this time the agreement will also be extended to cover Honeywell’s TALIN 3000, 4000 and 5000 products, which offer varying capabilities to suit a wide range of operational requirements. TALIN is a highly accurate, shock-stabilized Position and Pointing Inertial Navigation System designed for use on a wide range of military and commercial platforms. It provides users with extremely precise attitude and position awareness with or without the use of GPS. Using the same Honeywell Ring Laser Gyro and Quartz Accelerometer technologies proven in both commercial and military navigation applications for decades, TALIN is ideal for environments where GPS signals are unavailable. More than 15,000 systems from the TALIN Family are currently operating on more than 60 military and commercial platforms worldwide. Honeywell Aerospace products and services are found on virtually every commercial, defence and space aircraft, and its turbochargers are used by nearly every automaker and truck manufacturer around the world. The Aerospace business unit develops innovative solutions for more fuel efficient automobiles and airplanes, more direct and on-time flights, safer flying and runway traffic, along with aircraft engines, cockpit and cabin electronics, wireless connectivity services, logistics and more.